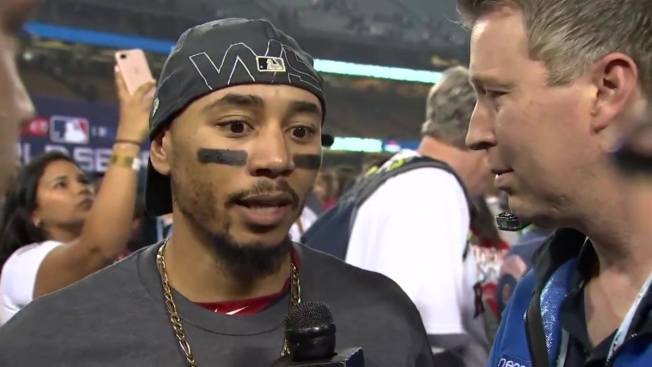 Mookie Betts won a World Series in October, became a first-time dad nine days later, earned his first AL MVP award and was part of a team that won a professional bowling event. 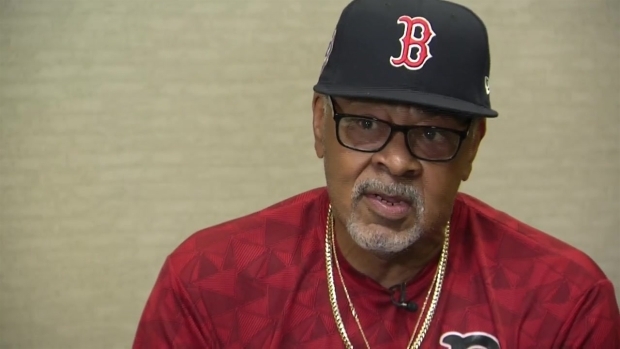 "Having the struggles, I kind of know what to expect, what not to do," he said. "Hopefully, I'm going to use that to my advantage and have another good year. I think just going out and playing, continuing to work hard. I think I'm a different player now than I was then. Fortunately, I was able to have a great year." It led to a number of guesses that the pitcher rejected. Notes: Cora said 2B Pedroia "looks good." The infielder took some grounders before hitting in the cage. He's attempting to return after a left knee injury cost him all but three games last season. Price joked that he thought RHP Ryan Brasier was left-handed the first time he was running in from the bullpen last year. The Boston Red Sox were victorious against the Los Angeles Dodgers and earned the title as the 2018 World Series champs! They beat the Dodgers 5-1 in their own turf on Sunday, Oct. 28, 2018 with management by Alex Cora. The new manager told the team they were going to have fun and do everything the right way and sure enough, they did. There were several outstanding players who made big impressions with their performance; Mookie Betts, JD Martinez, Steve Pearce and David Price all wowed both fans and opponents.